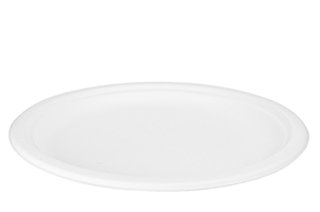 Compostable plate made from sugar cane fibre. It is the ideal size for a side salad or light bite. Sturdy, stylish and good for hot or cold food they're microwave and freezer safe. Far more sturdy than paper plates, and far less carbon too. Subtle Vegware emboss. 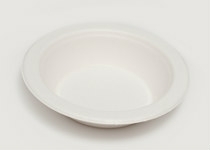 Compostable plate made from sugar cane fibre. It is the ideal size for a side salad or light bite. 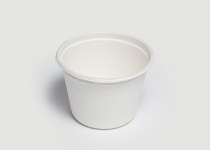 Sturdy, stylish and good for hot or cold food they're microwave and freezer safe. Far more sturdy than paper plates, and far less carbon too. 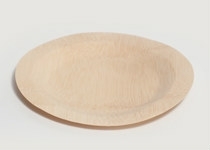 Compostable plate made from sugar cane fibre. 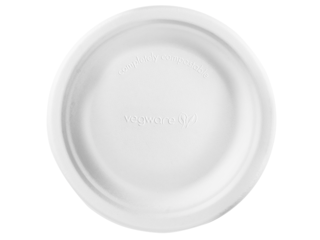 Eco and economic, our 9in bagasse plates are good for hot or cold and are microwave and freezer safe. 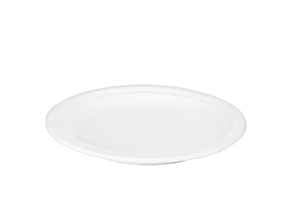 Sturdier than paper plates, they stack efficiently and are completely compostable. Compostable plate made from sugar cane fibre. 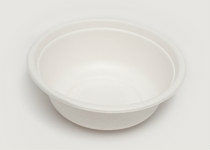 Eco and economic, our 10in bagasse plates are good for hot or cold and are microwave and freezer safe. 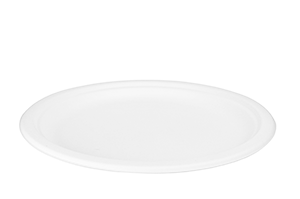 Sturdier than paper plates, they stack efficiently and are completely compostable. Made from annually renewable farmed Bamboo. 18cm plate. Made from annually renewable farmed Bamboo. 22cm plate. Made from annually renewable farmed Bamboo. 28cm plate.